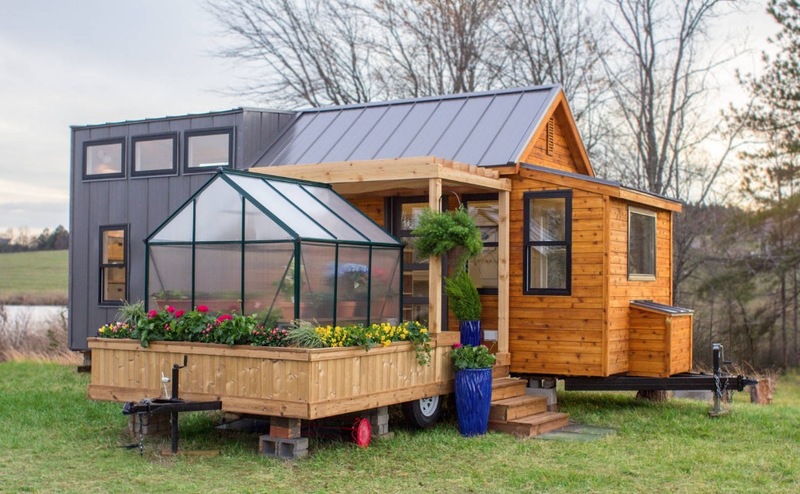 Congratulations, you’ve finally taken the leap and bought a tiny home! Now all that’s left to do is decorate it. 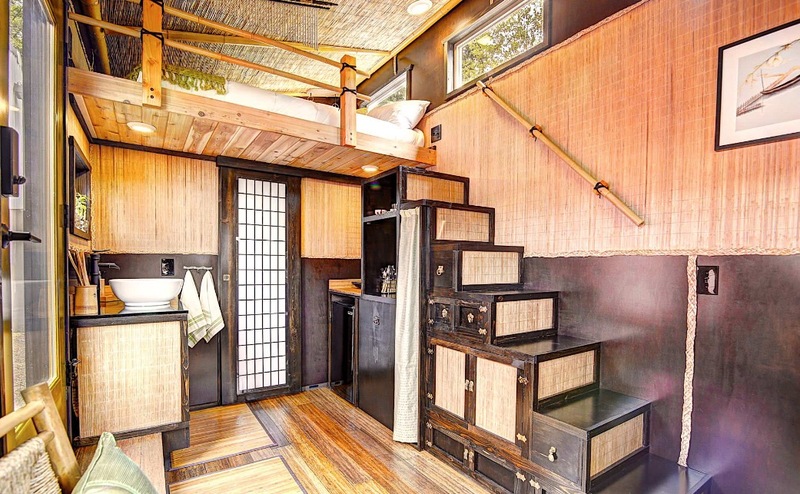 Decorating a tiny house is not difficult. However, there are a few unique considerations to keep in mind. We’ve laid them out below. Read them over to learn how to create a tiny home that’s equally functional and aesthetically pleasing. In a tiny home, there’s so little space to work with that it’s especially easy for your design to become muddled. Having too many items in that small amount of square footage can result in things getting cluttered fast. There’s a risk of losing your design in the midst of it all. With that in mind, you need to take extra steps to ensure your intent stays clear. You can do that by putting function first in your design. When we say “put function first,” we mean “let furniture carry the room.” While every space needs aesthetic touches, those should take a back seat to essential items like a sofa, table or bed frame. Get those in place first. In an ideal world, the purpose of each distinct functional area of your home will be clear with just a glance. For an example of what we mean, look at the picture above. Notice how it’s very pared down. Yet, thanks to the furniture and directional visual cues, you can clearly tell that there’s meant to be a work area that’s separate from the main living space. 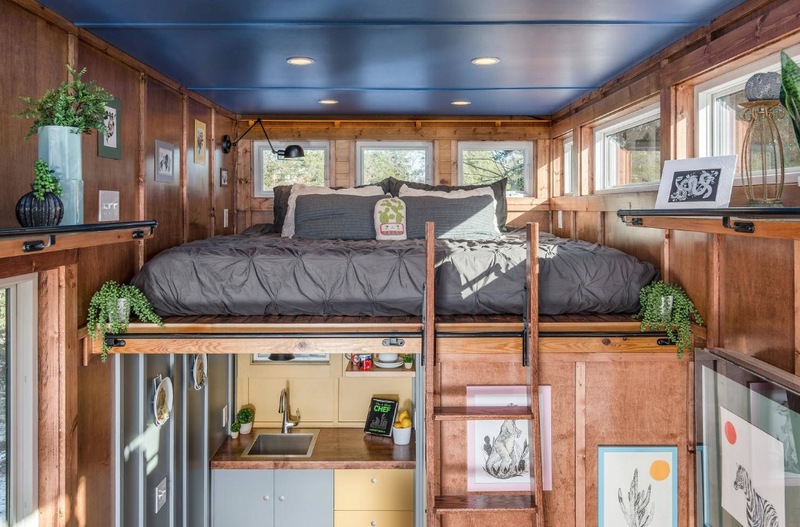 The biggest challenge when it comes to setting up a tiny home is finding enough storage. While you undoubtedly decluttered before moving in, there will likely be many things leftover for which you need to find a home. While standard storage options like closets and cabinets will undoubtedly be necessary, you’re going to need to get a little creative and include storage options in unexpected places. To do this, go over every inch of your tiny house with storage in mind. Challenge yourself to think of a way to add storage everywhere, whether it’s adding under-mount storage to an existing piece of furniture or bringing in more shelving. You don’t have to utilize all your ideas but, odds are, you’ll be glad for any added functionality. Since you only have a limited number of items to work with in a tiny house, you need to choose them carefully. Here, your focus should be on what kind of value they add to the space. Is it functional value? Is it aesthetic value? Or is it both? Ideally, when you’re designing a tiny house, each piece that you bring into your home will offer both. As for how to pull this off, it’s all about going bold with style. Choose items that have bold colors, patterns and textures. 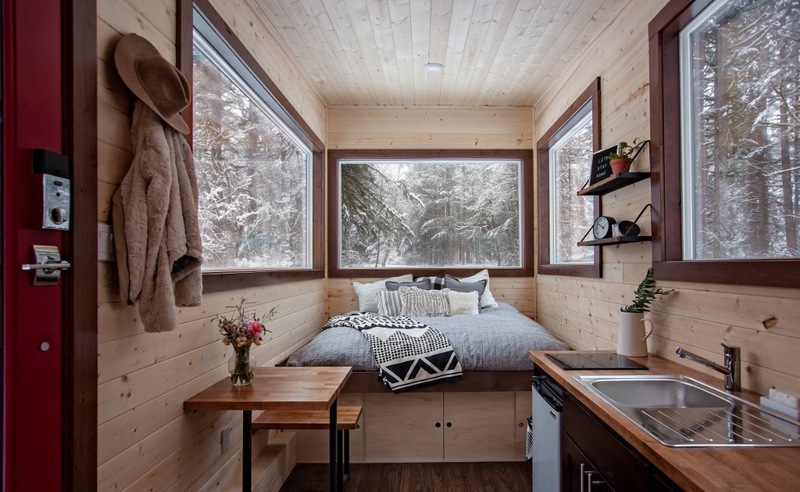 Lastly, we know that when you’re living in a tiny house, you can spend so much time figuring out how to make the space work for you that you completely forget about the traditional elements of design. However, we’re here to remind you that they’re important – and accessories can help. After all, that’s how you infuse your personality into the space and make it feel like home. 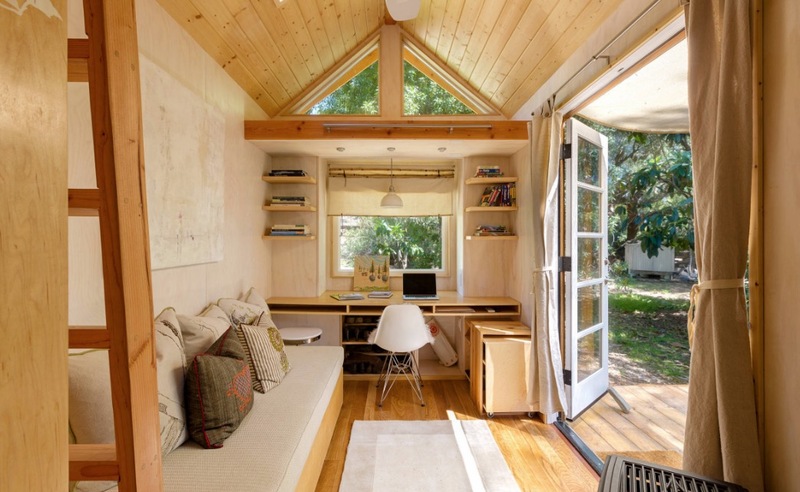 The post 4 Secrets To Successfully Decorating a Tiny House And Making It Work For You appeared first on Freshome.com.